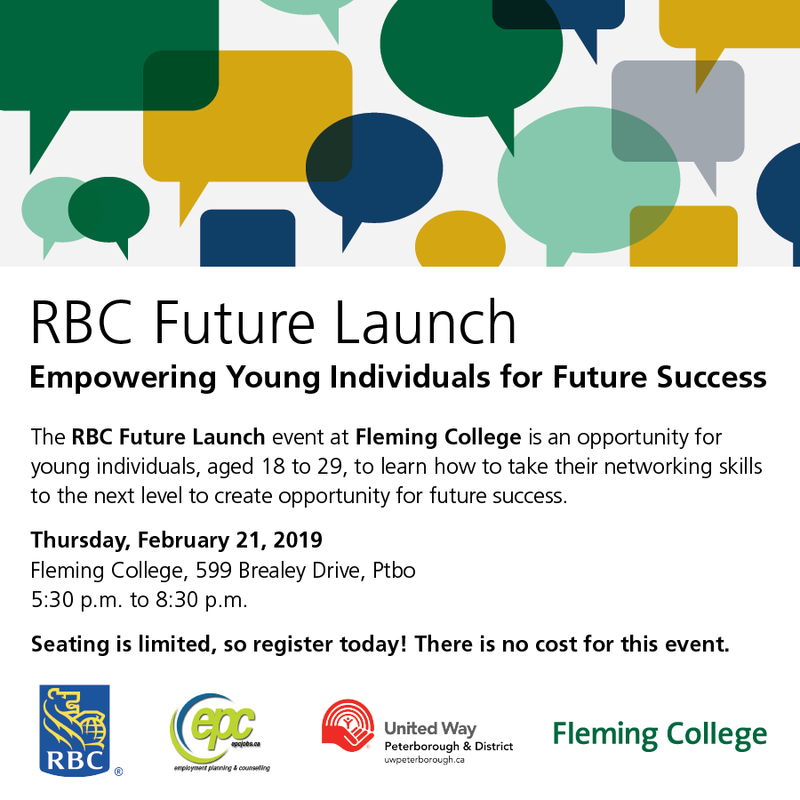 The RBC Future Launch event at Fleming College is an opportunity for young individuals, aged 18 to 29, to meet with experts and employers to learn valuable skills, with a focus on networking to build your career. There are few things as important as your network. In fact, 85% of all jobs are filled via networking, yet many young people feel they lack the skills necessary to develop professional relationships. Join us and let us show you how to take your networking skills to the next level! 8:00pm Wrap-up the evening with parting words of wisdom and networkingWe look forward to having you join us!